It was George Orwell that said “Who controls the past controls the future. Who controls the present controls the past.” Never has there been a more succinct explanation for the current legacy battle raging within our political institutions (or lack of), the media and our legal system. Sinn Fein’s narrative would tell you that the legacy block is down to Unionism and the British state. But that is another attempt by Sinn Fein to gain leverage for their political demands. Legacy is a political issue first and foremost; it then becomes a policing issue in terms of investigating within the structures agreed politically. The issue is that due to Sinn Fein’s demands, which are designed to sanitise the IRA’s terror campaign and demonise loyalists and security forces, political progress on legacy is stalling. It is easy for Sinn Fein to create the situation to blame the vacuum that then exists on the British state, but in effect the truth is that due to the one sided nature of Sinn Fein’s demands only a fool would accede to a legacy process on their terms. The legacy battle is simultaneously being fought across politics, the media and legal system, and lines between the three are becoming blurred. The legal system is taking over the political system. It is largely a strategy deployed by the liberal left, but it has also been aggressively embraced by the republican community, who have strategically used the legal system in order to litigate the past. What is unachievable politically in terms of re-writing and developing a pro republican narrative of the past, republicans are attempting to achieve via strategic litigation. Increasingly a coalition of ‘progressives’ are also using this tactic to try and force legislation from the bench on social issues and quite frankly, especially when it comes to the attempts to use the legal system to block Brexit, to subvert our system of democracy and overturn the expressed will of the people. Let me be very clear, this piece is no criticism of the lawyers engaged on behalf of those pursuing such aforementioned courses of action. I know many of them personally and I know that they are simply representing those that engage them. If Unionism began to strategically engage the best law firms to litigate the past and challenge collusion with the IRA and atrocities perpetrated against the Unionist community, then I am confident that we would get similarly excellent representation. Unionist anger around the clearly unbalanced legacy litigation should not be directed at those who are simply litigating on behalf of clients; instead the political objectives behind those engaging our finest lawyers for strategic purposes should be subjected to closer examination. 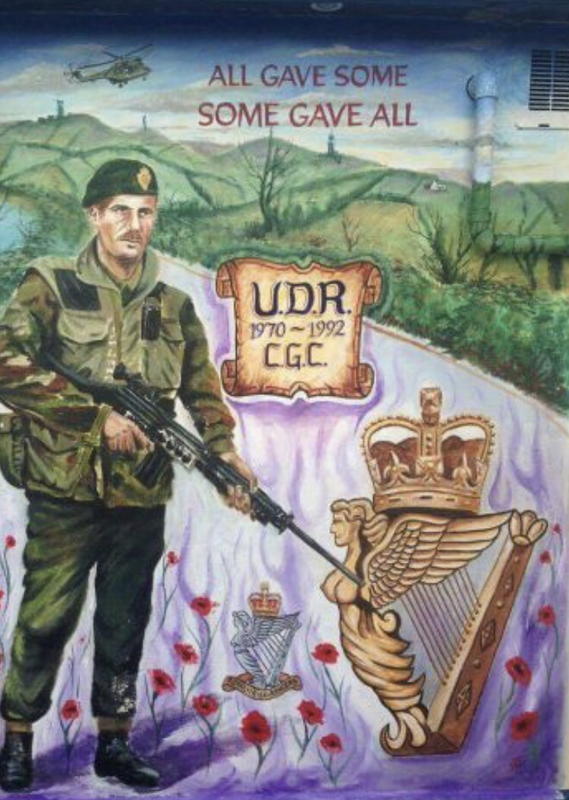 The legacy vacuum in our political system has allowed the republican strategy of litigating the past in order to adjust the narrative, to try and justify the IRA’s unjustifiable terror campaign, to flourish. The media has also stepped into the breach and taken responsibility, of their own accord, for investigating cold cases. I have trouble with this on many levels. Firstly, there is a clear imbalance in terms of focusing on the state and loyalists whilst often sanitising the IRA’s terrorism campaign. But there are more serious concerns. Some of the cold case investigations being carried out by the media, quite often including international journalists, are coming to conclusions and presenting them as facts. They are acting as judge, jury and executioner. We are increasingly seeing programs, books and articles where rather than forensically investigating and reporting the facts, journalism is acting as a non-jury court, weighing the evidence and presenting a judgement. At what stage did we replace the judiciary with kangaroo courts whereby suspects are tried in the media? As I have alluded too, some of these ‘investigations’ are weighing evidence and presenting findings. What evidence threshold is applied? Where is the appeal mechanism for those found guilty in a trial by documentary? I believe we have phenomenal journalists in Northern Ireland, but is it their role to step into the legacy vacuum and take responsibility for investigating the past and presenting a judgement? Or to run a case in the form of a documentary or a book, rather than via our long established justice system? Unionism, in my view, is making the wrong arguments when challenging the media and one sided films and documentaries investigating the past. Rather than simply scratching at the obvious surface points about imbalance, instead Unionism should focus on the much larger point. Who appointed the media to investigate cold cases and present findings? What evidence threshold is applied in a kangaroo court of a documentary? To whom do those found guilty appeal? This piece has attempted to highlight the underlying reasons why I believe Unionism losing the legacy battle. The way to win is to firstly commence litigating the past ourselves. Get into the fray; if the political system is being taken over by the legal system then let’s make sure we are equipped for the battle in that area. Let us resist media attempts to fill the legacy vacuum and act as an independent judge, jury and executioner, which investigates the past (as journalism should) but then goes a step further and presents a judgement without any stringent parameters or evidential thresholds being applied. Unionism must not allow ongoing strategic legacy litigation or the attempted rewriting of the past to continue in such a ferocious manner. It is time to fight back and play the system. Unionist Voice is currently undertaking a piece of work to establish a working group to assist and provide pathways for those from the Unionist community that want to have historical injustices or republican atrocities investigated, highlighted and if possible litigated. 90 Responses to "Opinion: Republican agenda being progressed via legacy litigation and trial by the media "
What’s up Dear, are you really visiting this website regularly, if so after that you will definitely get fastidious knowledge. wanted to provide you with a quick heads up! Other than that, excellent site! colleagues regarding this post, while I am also zealous of getting knowledge. Just desire to say your article is as amazing. The clarity in your post is just nice and i can assume you’re an expert on this subject. Fine with your permission let me to grab your feed to keep updated with forthcoming post. Thanks a million and please continue the gratifying work. I was very pleased to seek out this internet-site.I wished to thanks on your time for this excellent read!! I undoubtedly enjoying each little little bit of it and I have you bookmarked to take a look at new stuff you blog post. this this web site conations genuinely pleasant funny information too. reading this blog’s post to be updated daily. It contains fastidious data. I like what you guys tend to be up too. This kind of clever work and reporting! Keep up the very good works guys I’ve included you guys to blogroll. I am just writing to let you know of the helpful encounter my wife’s girl gained browsing yuor web blog. She mastered a good number of things, not to mention how it is like to have an ideal giving mindset to have many more quite simply have an understanding of a number of complicated topics. You actually did more than people’s desires. Thanks for imparting such beneficial, dependable, edifying and also unique tips on your topic to Ethel. I’m no longer sure where you are getting your information, however great topic. I needs to spend some time finding out much more or figuring out more. Thanks for fantastic information I was in search of this information for my mission. I must get across my appreciation for your kindness for women who must have help on in this subject. Your special commitment to passing the message all around has been exceedingly practical and has continually allowed professionals like me to reach their goals. Your valuable useful information can mean this much a person like me and much more to my office colleagues. With thanks; from each one of us. hi!,I really like your writing so a lot! proportion we keep in touch more about your post on AOL? I require an expert in this area to unravel my problem. Maybe that is you! Looking forward to look you. Hi there Dear, are you genuinely visiting this website regularly, if so then you will without doubt get fastidious know-how. Everyone loves what you guys tend to be up too. This sort of clever work and reporting! Keep up the wonderful works guys I’ve added you guys to my blogroll. I’m impressed, I need to say. Actually hardly ever do I encounter a blog that’s each educative and entertaining, and let me inform you, you have hit the nail on the head. Your idea is outstanding; the problem is one thing that not enough individuals are speaking intelligently about. I am very happy that I stumbled across this in my search for something referring to this. if you added a headline that grabbed a person’s attention? I mean Opinion: Republican agenda being progressed via legacy litigation and trial by the media | Unionist Voice is kinda plain. You might peek at Yahoo’s home page and watch how they create post headlines to get viewers to click. I’m typically to running a blog and i really admire your content. The article has really peaks my interest. I’m going to bookmark your site and maintain checking for new information. amazing and really good material for visitors. certainly like your web-site but you need to take a look at the spelling on quite a few of your posts. Many of them are rife with spelling problems and I to find it very bothersome to inform the reality then again I will surely come back again. therefore I only use internet for that purpose, and obtain the most recent news. me. Anyhow, I’m definitely glad I found it and I’ll be bookmarking and checking back frequently!